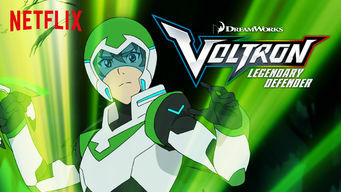 How to watch Voltron: Legendary Defender: Season 8 (2017) on Netflix Bangladesh! Sorry, Voltron: Legendary Defender: Season 8 is not available on Bangladeshi Netflix, but you can unlock it right now in Bangladesh and start watching! With a few simple steps you can change your Netflix region to a country like Japan and start watching Japanese Netflix, which includes Voltron: Legendary Defender: Season 8. We'll keep checking Netflix Bangladesh for Voltron: Legendary Defender: Season 8, and this page will be updated with any changes. Voltron: Legendary Defender: Season 8 is not available in Bangladesh BUT it can be unlocked and viewed! In an all-new series, five unlikely heroes and their flying robot lions unite to form the megapowerful Voltron and defend the universe from evil. They never guessed they'd have to save the universe. But together, they'll form a mighty robot and take on cosmic evil. Season 1 of Voltron: Legendary Defender has 11 episodes. Because different Netflix countries have different availability for episodes, you'll need to check the episode listing below to see which are available in Bangladesh. Princess Allura puts the Paladins through training when they start to lose their focus. 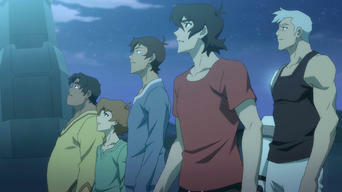 They'll need to cooperate to learn how to form Voltron. Shiro must draw on painful memories from his past when a massive evil robot threatens the peace on Arus, forcing the lions into action. As one Paladin threatens to leave the team, invaders storm the castle and destroy its power crystal in an attempt to steal Voltron. 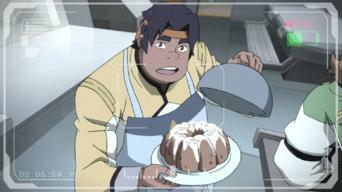 Hunk and Coran try to retrieve a new crystal from the Balmera while the rest of the team work to prevent Sendak from leaving the castle with Voltron. Season 2 of Voltron: Legendary Defender has 13 episodes. Because different Netflix countries have different availability for episodes, you'll need to check the episode listing below to see which are available in Bangladesh. The lions get separated when a trip through a wormhole goes awry, while Coran and Allura scramble to break free of a seemingly endless time loop. Hunk and Lance crash-land underwater and follow a mermaid to a civilization whose queen promises to keep them safe and help find the others. 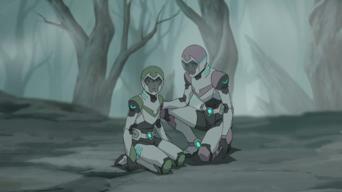 After being saved from a dangerous situation by an unexpected ally, Shiro urges the rest of the team to trust his rescuer. While making repairs to the castle, the Paladins encounter unusual spongy spores that lead them to a planet of brilliant engineers. Four of the Paladins head to a ravaged planet called Taujeer to help the citizens escape, while Allura and Keith go off on a separate mission. Shiro attempts to create a deeper bond with the Black Lion, while Coran takes the others to a swap meet, where they have some strange adventures. 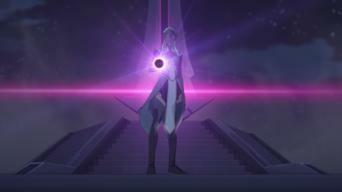 Keith and Shiro travel to a hard-to-find base in an effort to align with the Blade of Marmora. Keith must fight to unlock the truth about his past. The Paladins split up to gather resources for a showdown with Zarkon. Hunk and Keith travel into the belly of a planet-devouring creature. Lance, Pidge and Shiro infiltrate a facility to free a prisoner of the Galra, but Lance and Shiro each think they've found the right inmate. Allura travels to the Balmera to acquire a powerful crystal, but a visit from an evil beast prompts her to call on the Paladins for help. After acquiring the teludav from the Olkari, the team prepares to launch the operation to defeat Zarkon and bring peace to the universe. The Paladins fight an epic battle against the most powerful enemy they've ever faced, with the fate of the universe at stake. Season 3 of Voltron: Legendary Defender has 7 episodes. Because different Netflix countries have different availability for episodes, you'll need to check the episode listing below to see which are available in Bangladesh. 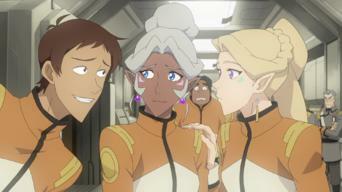 As the Paladins work to build a coalition of rebels, Allura makes a suggestion that rattles the team. A new face aims to gain power with the Galra. Lotor's forces move to retake the planet Puig and lure the Paladins out for a fight. Keith and Lance struggle to adjust to big changes. Keith's reckless choice leads the team into a dangerous situation, and Allura needs to channel one of the Paladins to get out of trouble. The castle receives a distress signal that leads Allura and Coran to believe that they may not be the only surviving Alteans. A pair of skeptical rebel fighters make things difficult for a Paladin in need of assistance. Haggar steps up her monitoring of Lotor. 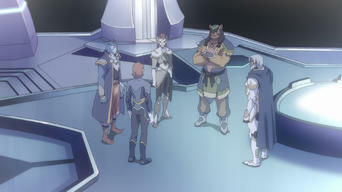 As the Paladins pursue the comet, they become confused by Lotor's actions. Keith doubts his leadership skills, while Lance ponders his future. 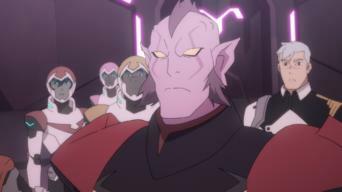 As the team tries to decipher Lotor's plan for the comet, Coran gives the Paladins a history lesson about the origins of Voltron and the ongoing war. Season 4 of Voltron: Legendary Defender has 6 episodes. Because different Netflix countries have different availability for episodes, you'll need to check the episode listing below to see which are available in Bangladesh. Keith's divided attentions cause tension within the team at a time when unity is crucial. The Blades investigate a Galra supply route. 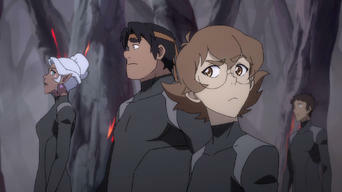 Pidge gets information that prompts her to embark on an important solo mission to the far reaches of the universe. An internal struggle for power erupts within the Galra. Pidge returns to the castle with some precious cargo. The team gets a cow. Coran gets carried away with turning the Paladins into intergalactic stars when he designs an elaborate, effects-filled live tour of the universe. Team Voltron devises a plan to continue the coalition's momentum and take control of more Galra territory. 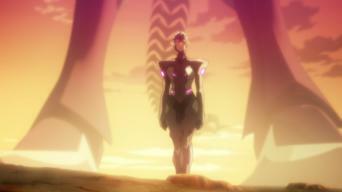 Lotor makes a big move. Forces of good and evil converge on the planet Naxzela, where Voltron faces unforeseen danger only one Paladin can help them escape. Season 5 of Voltron: Legendary Defender has 6 episodes. Because different Netflix countries have different availability for episodes, you'll need to check the episode listing below to see which are available in Bangladesh. After a daring mission at a key Galra outpost, the team considers a risky alliance. One Paladin leads a journey to retrieve an important prisoner. Faced with a painful decision, the Paladins reluctantly come to an agreement with Zarkon. Haggar comes to grips with memories from the past. A power struggle erupts within the Galra. As the Paladins argue over their next move, an attack forces them to save themselves and the Olkari. Shiro acts against the wishes of the other Paladins. Powerful Galra from around the empire convene for the Kral Zera ceremony. 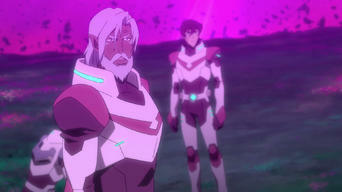 Keith is sent to find a fellow Blade named Krolia and locate a powerful weapon. Lance, Hunk and Pidge reprogram a robot to have fun. The team searches for a portal to a mysterious, fabled Altean land called Oriande. Shiro starts to feel like there’s something wrong with him. Season 6 of Voltron: Legendary Defender has 7 episodes. Because different Netflix countries have different availability for episodes, you'll need to check the episode listing below to see which are available in Bangladesh. An attack by Sendak prompts the Paladins to scramble to a planet's defense. 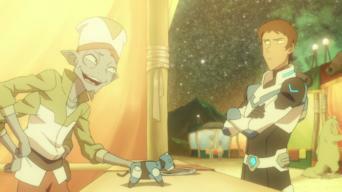 Lotor calls on Allura for help in assembling a powerful ship. Keith's journey to an abyss to search for a quintessence source unlocks memories about his past. Lance wallows in unrequited love. When the team takes a break to play a magical role-playing game, their fantasy world sparks useful ideas to help them solve real-world problems. After Lotor and Allura head off in the new ship, the remaining Paladins get a dire warning that could change everything. 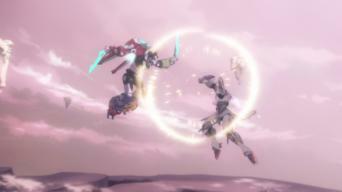 As one Paladin takes on a dangerous mission through a wormhole, the others contend with failing controls on the castle. A metaphysical encounter shines light on a Paladin's fate. Lance and Allura console each other about their past judgments. Lotor makes a plea. An epic battle leaves the universe in a state of chaos, threatening to destroy all life unless a sacrifice is made. Season 7 of Voltron: Legendary Defender has 13 episodes. Because different Netflix countries have different availability for episodes, you'll need to check the episode listing below to see which are available in Bangladesh. Part of the group gets stuck on a planet where they're inadvertently miniaturized. Flashbacks reveal the beginnings of Keith and Shiro's relationship. The Paladins stop at a base that belongs to the Blades, only to find it's been abandoned. But they come under attack before they can investigate. Stuck in a perilous situation far from home and needing help to get free, the Paladins realize their fate is in Coran's hands. The Paladins inexplicably become contestants on the crazy game show "Garfle Warfle Snick." But they're playing for much more than cash and prizes. When Pidge intercepts a distress signal that the Paladins believe they recognize, the team ends up on a ruined planet that was ravaged by war. As the Paladins hurtle through space, they enter a seemingly endless void that tests their sanity -- and their loyalty to one another. The Paladins receive a distress signal that's explained through a flashback to Pidge's father Sam's return to Earth four years earlier. Sam and the others at the Garrison attempt to hold off the Galra attacks in hopes that a desperate plea for help will reach Voltron. The Paladins drop off the Lions and head to Earth, believing that information Sam acquired years earlier could help them battle Sendak. The Paladins work with the Garrison pilots on a mission that could provide more clues about how to take down Sendak's operation. Sanda's revelation shakes the Paladins, who are separated from the Lions. 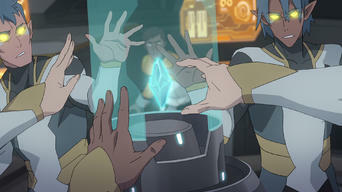 On Earth, Shiro, Sam and Coran attempt to get the Atlas powered up. As a massive battle rages on, Shiro goes solo on a dangerous mission to bring down Sendak and save his friends -- and his home. With the future of Earth hanging in the balance, Voltron and the others come together to face a mysterious enemy unlike any they've ever seen. Season 8 of Voltron: Legendary Defender has 13 episodes. Because different Netflix countries have different availability for episodes, you'll need to check the episode listing below to see which are available in Bangladesh. The Paladins spend one last night on Earth in preparation for the launch of the Atlas. Lance works up the courage to ask Allura an important question. Flashbacks shine a light on Honerva's past with Lotor and Zarkon, revealing the motivation for her recent actions. After taking control of a Galra base on a dark planet, the Paladins follow a distress signal from a missing fleet and make an unsettling discovery. While floating through the universe searching for signs of a Robeast, the Paladins head toward Olkarion and realize they aren't alone on their journey. The Paladins make plans to meet with the Atlas, but the reunion is interrupted when the Lions are ambushed by a mysterious adversary. Voltron heads to Oriande to confront Honerva after the team discovers she's using wormholes to harvest massive amounts of Quintessence. The crew heads to the planet Drazan to participate in the festivities of Clear Day, but Allura is plagued by nightmares when she stays behind to rest. The Paladins travel into an expansive void accessed through Allura's mind, where they encounter frightening spirits and cursed souls. Traveling further into an abyss of memories, the Paladins make shocking discoveries that could alter their reality forever.